In 2017, we launched the Full Tummy Fund initiative as a programme of the Spur Foundation and the vehicle used to invest in Early Childhood Development (“ECD”) and nutritional programmes. John Dory’s, Panarottis and Spur Steak Ranches support the Full Tummy Fund by adding an automatic donation of R2 to selected kids’ meals on their menus. We’re taking the long-term view – South Africa can only grow if we are able to address the developmental challenges facing its citizens. Early childhood is a critical stage of development that forms the foundation for children’s future well-being and learning. 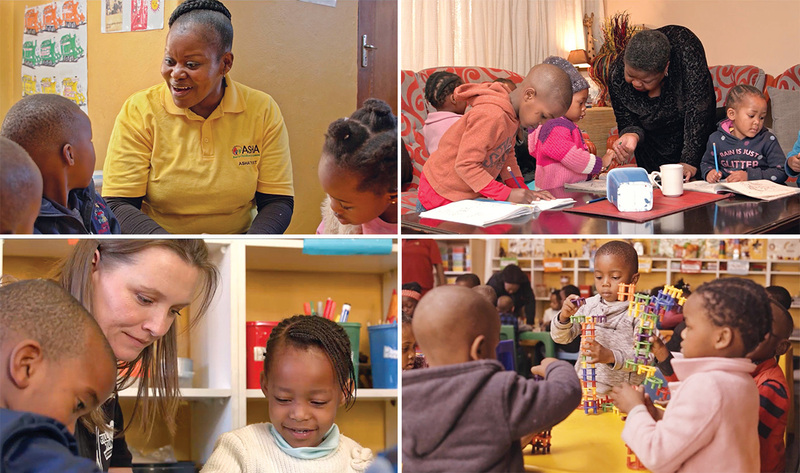 Although experts agree that the situation for South African children under six years old has improved since 1994, the ECD sector still faces significant challenges, including poor nutrition, lack of funding, few well-trained ECD staff, lack of appropriate instruction programmes, insufficient facilities and lack of institutional capacity. Investing in early childhood development is known to be one of the most effective means of eradicating poverty. Integrated programmes that target children in their early years are critical for their mental and psycho-social development. It is for this reason our developmental focus remains strongly on the first 2 000 days of a child’s life, with emphasis on early childhood development and nutrition for children from disadvantaged communities. By providing support over the critical phase in a child’s early development, the Full Tummy Fund initiatives help to lay a strong educational foundation on which a healthier, more prosperous and better society can be built. We know that you can’t teach a hungry child, and during these first, formative years, the essential building blocks for brain and body development are laid. In July 2018, South Africa’s First Lady, Dr Tshepo Motsepe, hosted a celebration in Pretoria when 90 women received recognition for completing an ASHA Trust course that is designed to directly address the crisis in early childhood care and education in South Africa. Nineteen of these women are principals at crèches sponsored by the Full Tummy Fund. During the year, the Full Tummy Fund contributed R2.6 million to ECD initiatives.